Celebrate the work of Wonder Valley's own artist extraordinaire, Heather Johnson, Saturday, February 21, 2015. 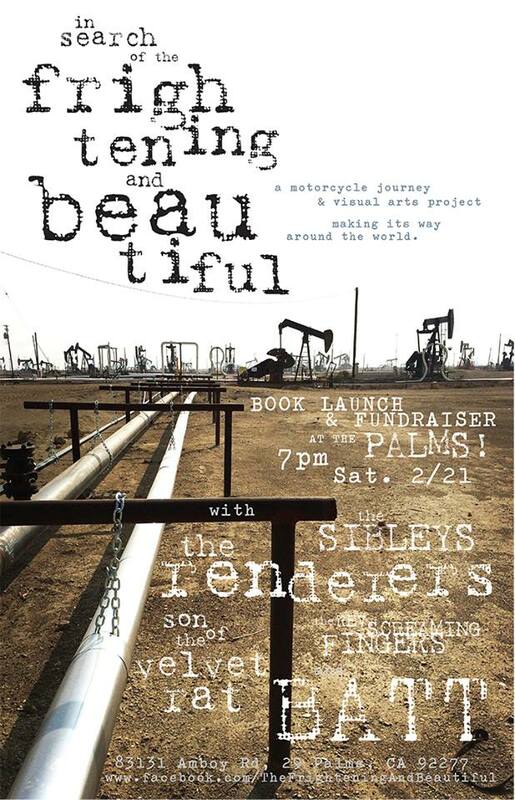 Come to the In Search of the Frightening and Beautiful book launch party and fundraiser. Music: The Sibleys. The Renderers. The Reverand Screaming Fingers. son of the velvet rat. And BATT. It's all happening at The Palms Restaurant, 83131 Amboy Road, Twentynine Palms, CA 92277.